#1. Quesada 40th Anniversary Corona Clasica – Tony reviewed the Quesada 40th Anniversary back in September. You can find his full review HERE. Unlike Tony, I had no problem removing the tissue paper, and I am convinced it was more of a user error on Tony’s part than anything else 🙂 But I am not here to critique the cigar necessarily. Last month, my dog that I had since I was in 8th grade was put to rest at the age of 16. I was not there to say my goodbye as he was in El Paso with my parents. However, that evening I lit up the Quesada 40th and reflected on the great memories I had with him including taking him snowboarding in the Upper Peninsula, falling through ice while ice fishing, and several others. He was one stubborn, loving dog that I will miss. Beginning with a mild profile, the cigar developed to medium in the middle third and ended on a high note with medium/full, rich flavors. Only once did I have to correct the burn in over two hours of smoking. So a 10 second annoyance out of 7200 seconds of smoking is really no issue at all. 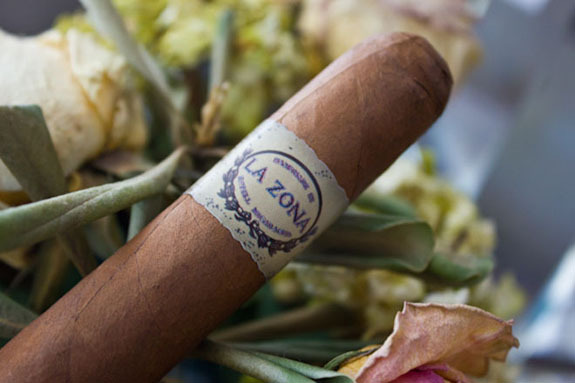 For a cigar that can be found for under $4 on most days and around $2 on good days, La Zona Habano by Espinosa Cigars is a good stick that delivers without breaking the bank. The flavors delivered in the first and second thirds, but tapered off in the final third, which I will blame on the void in tobaccos near the head. I am pleased to report that the issue did not occur in the other sample. When I think of the lines I have smoked under the Exactus brand, I can honestly say that the Puro Ambar is a step above the other lines. Beginning with the Romeo Y Julieta RyJ in 2013, followed by The Banker by H. Upmann a few months ago, and now the Romeo y Julieta Primer Lote 770, my perception of Altadis U.S.A. is changing. The Primer Lote 770 delivered a good performance with medium flavors. But what made this Mike’s Cigars exclusive unique was the distinct flavor profiles in each third. For a price under $8, this cigar falls right into the sweet-spot. …the Padron Family Reserve 50 Years Maduro is an exceptional cigar delivering most notably in the flavor department. As any of you who are familiar with the Family Reserve releases would expect, the flavors were quite complex, yet very smooth and balanced. Not to mention they are ideal for beer pairing especially with the early winter seasonal releases. As with most Asylum cigars I have smoke, the Ogre is a solid stick. That being said, there wasn’t anything outside of the strength which really stood out to me. I did like the flavors, and the changeups, but I would probably reach for the standard Asylum 13 over the Ogre. A tasty and relaxing medium-full bodied smoke with low-medium strength – hell yes! I have really enjoyed the several L’Atelier Extension de la Racines that I have smoked, with flavors that are certainly not run of the mill providing a good amount of complexity without pounding you over the head with them. Construction was pretty much spot-on, with just one small correction required and no re-lights. The price is entirely in line with a cigar of this quality, and even more so with the limited availability. .